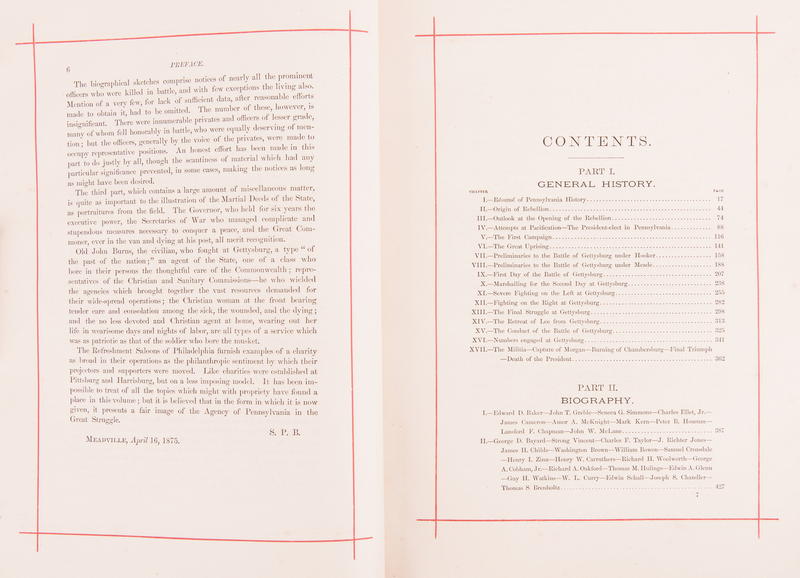 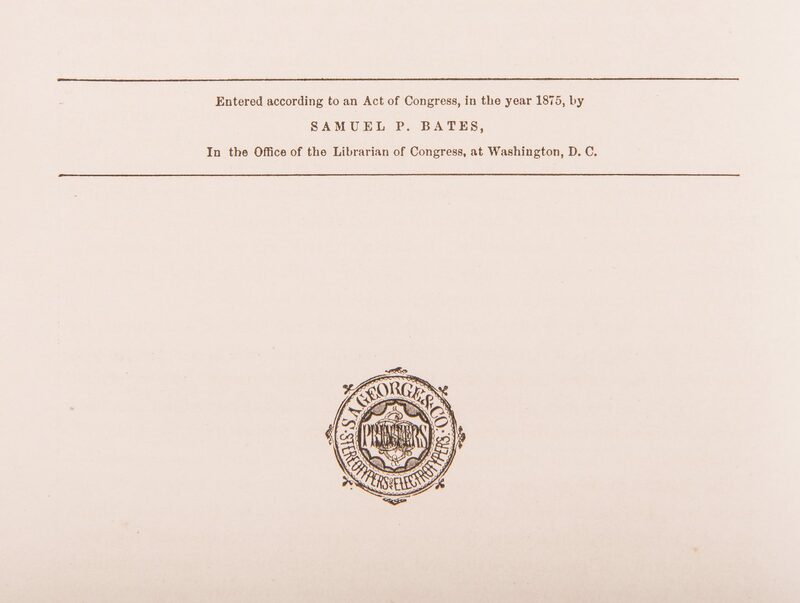 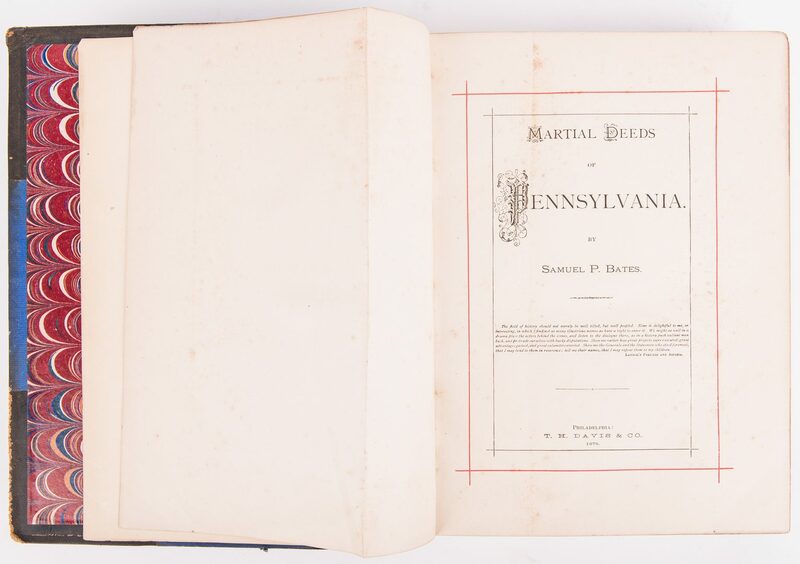 Gettysburg-related presentation copy, printed prior to First Edition, of The Martial Deeds of Pennsylvania, Vol. I & II, by Samuel Penniman Bates, 1875. 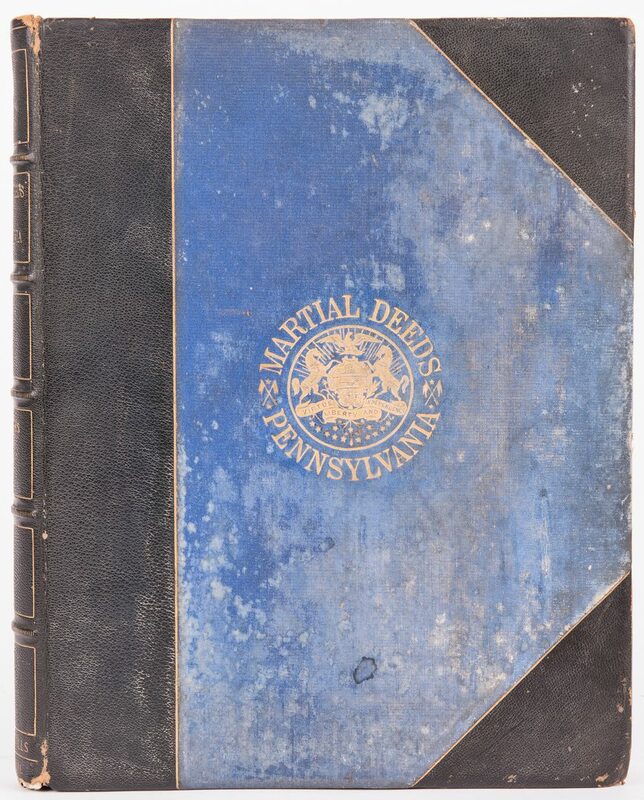 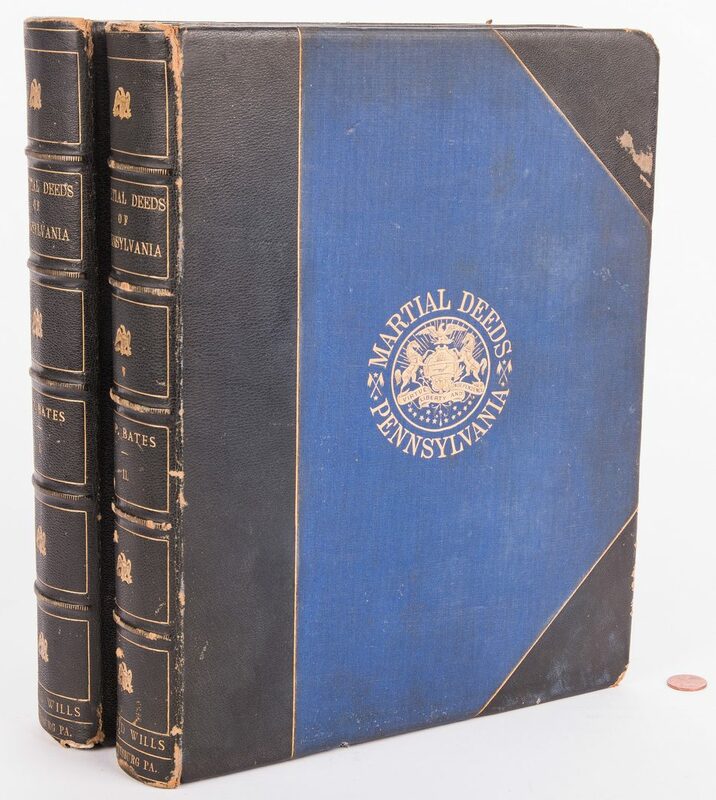 This book, detailing the history of Pennsylvania in the Civil War, was personally owned by attorney David Wills of Gettysburg, whose name is printed in gilt on the spine. It was in Wills' home that Abraham Lincoln penned the final draft of the Gettysburg Address. 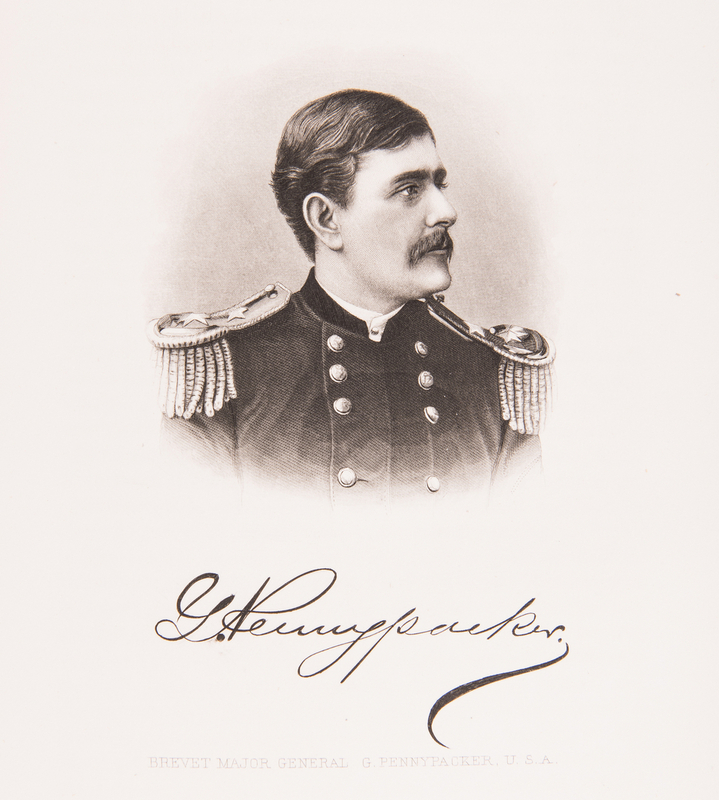 Wills (1831-1894) is also remembered as the person who suggested the idea of the Soldier's National Cemetery at Gettysburg to Pennsylvania Governor Andrew Gregg Curtin after the historic battle. 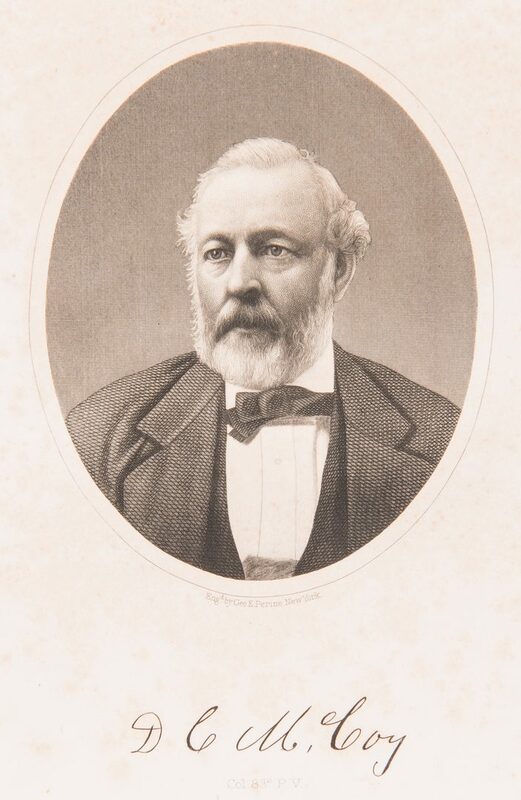 Wills was put in charge of organizing the cemetery and looking after its interest. 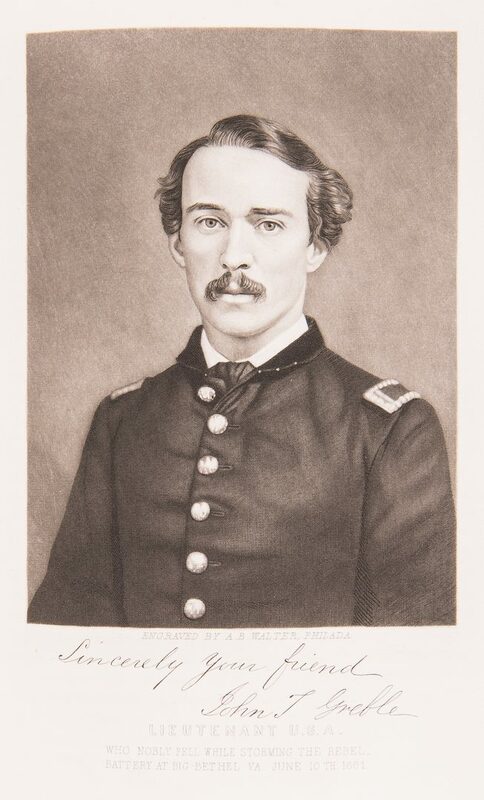 The David Wills home in Gettysburg is now preserved as a historic site by the National Park Service. Published by T. H. Davis and Company, Philadelphia. 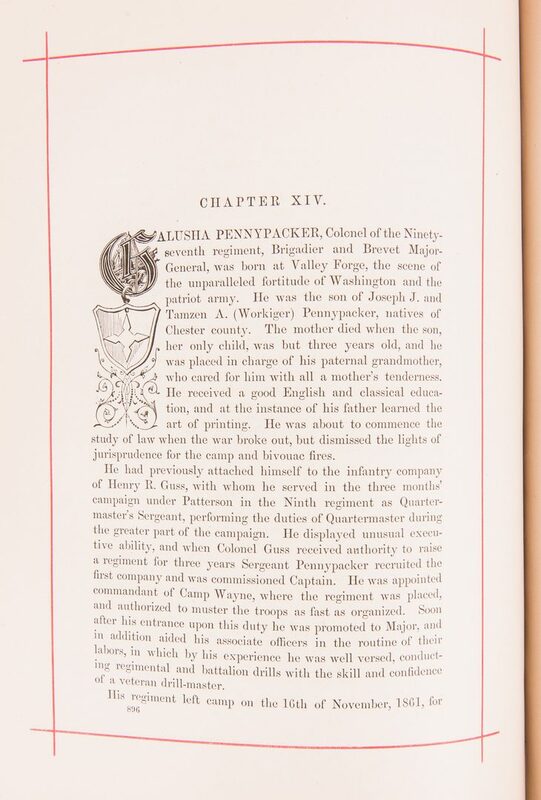 Quarto, 1111 total pages including index and steel engraved maps, portraits, and other illustrations. 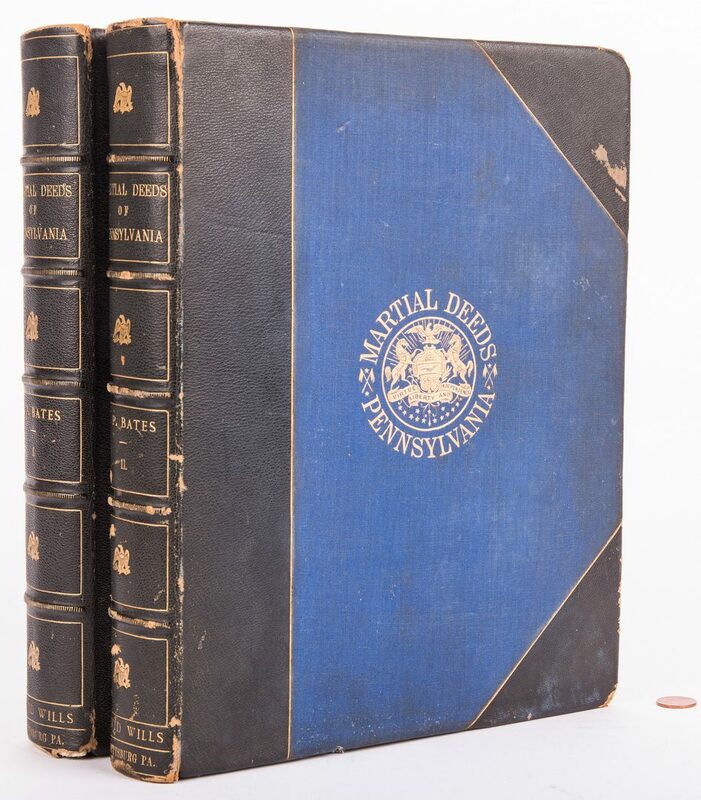 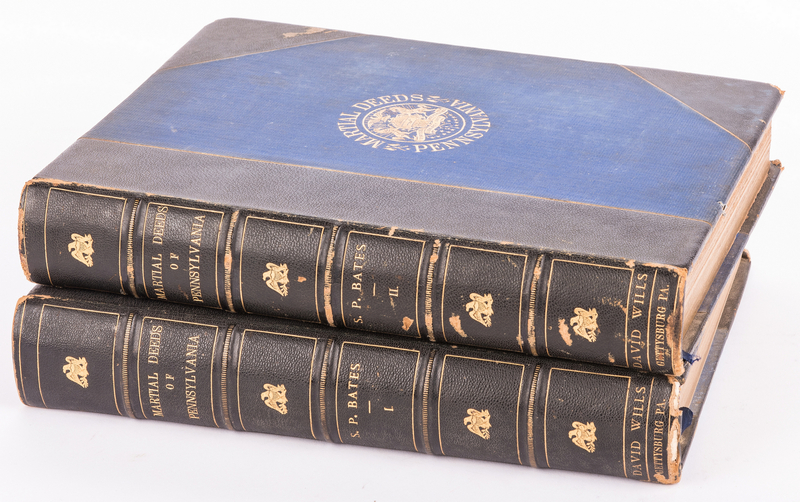 Hardbound, three quarter black leather binding with tooled blue cloth covers with gilt lettering and pictorial design to covers and spine. 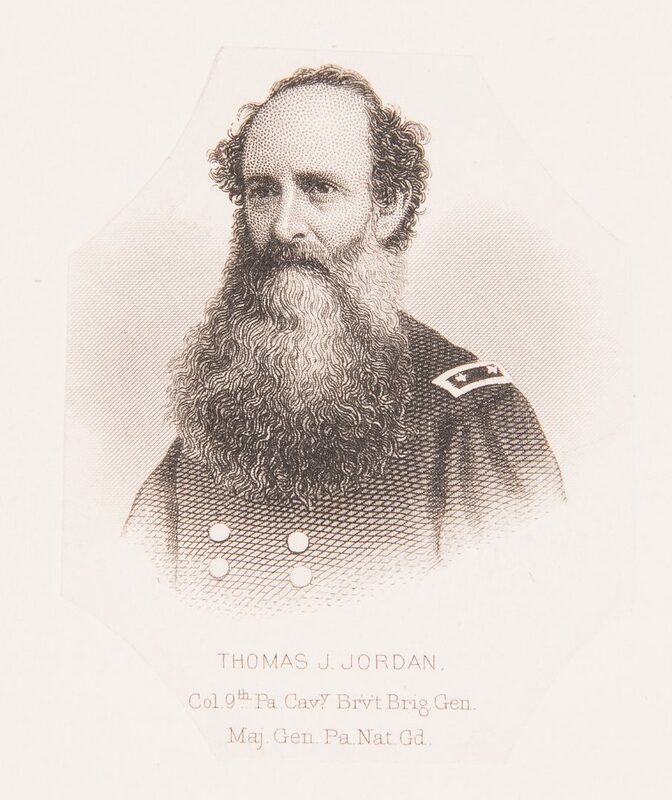 Later owner inscription, "J.E. 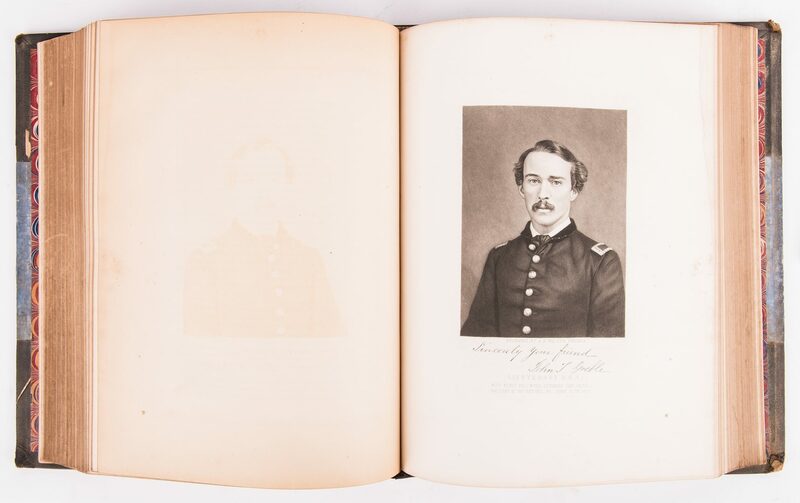 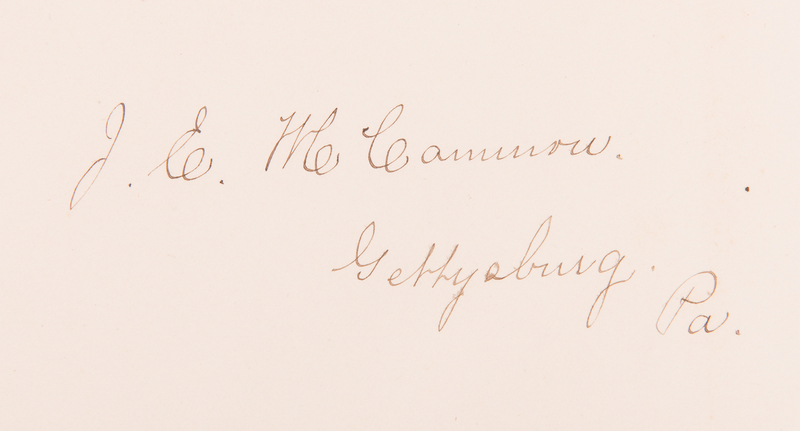 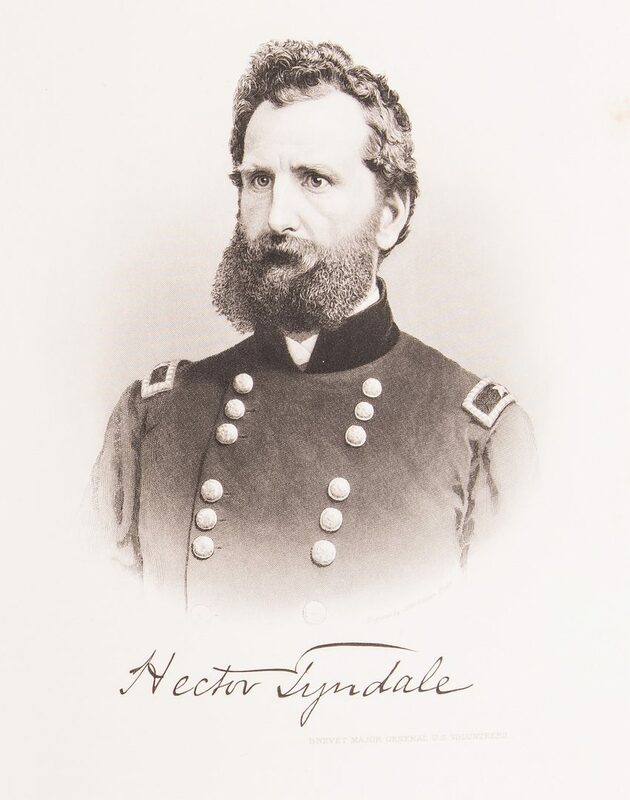 McCammon, Gettysburg, Pa" on flyleaf. 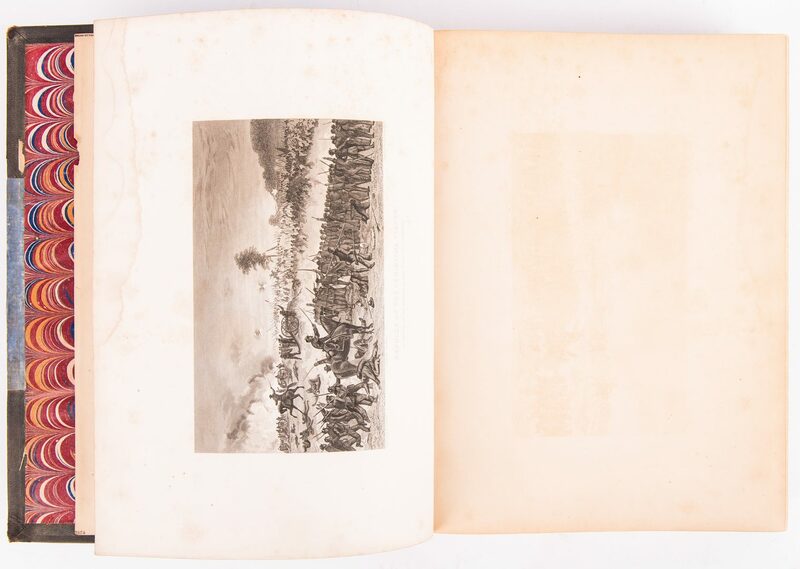 12 1/8" H x 9 7/8" W x 2 1/8" D. (Note: J.E. 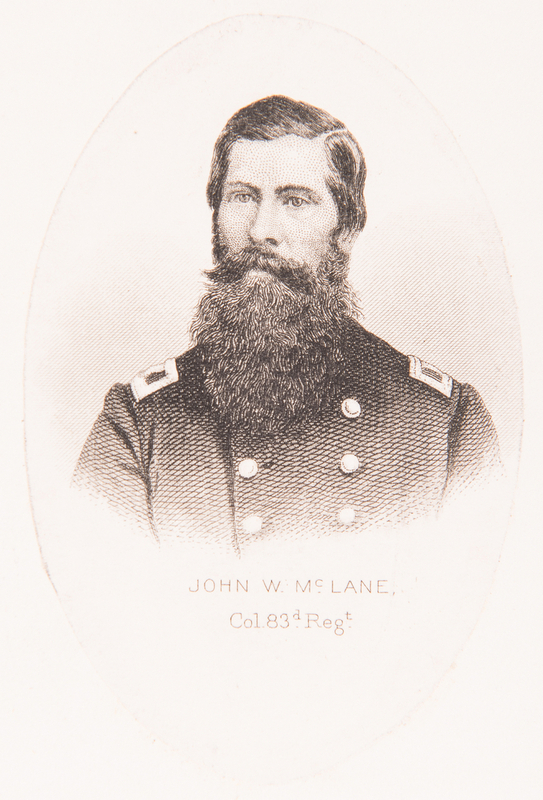 McCammon married Wills' daughter, Emma). 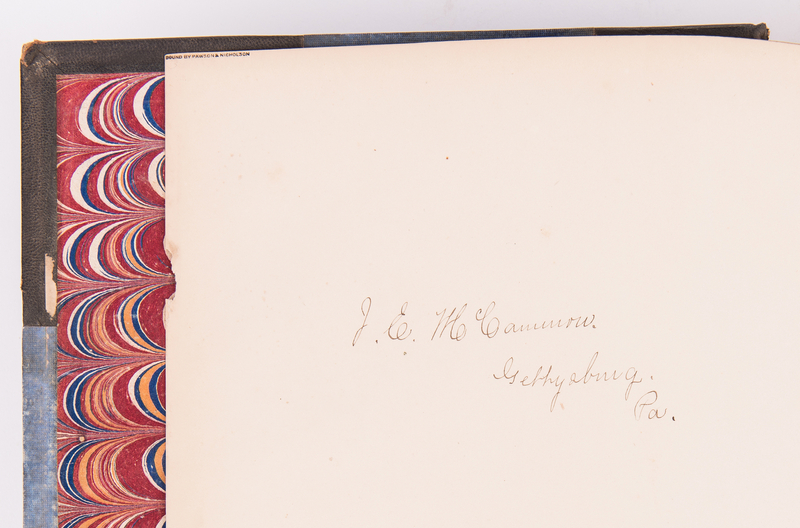 Provenance: descended in the McCammon family, sold to consignor by a descendant. 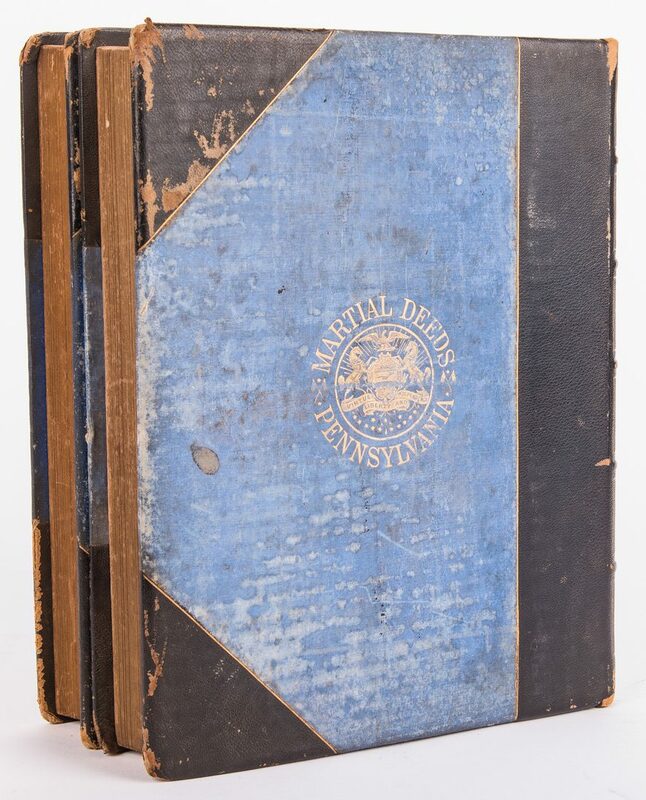 CONDITION: Overall good condition with dampstaining to covers, areas of loss to leather, corners bumped. Foxing spots, toning impressions, areas of dampstainining, to majority of pages. 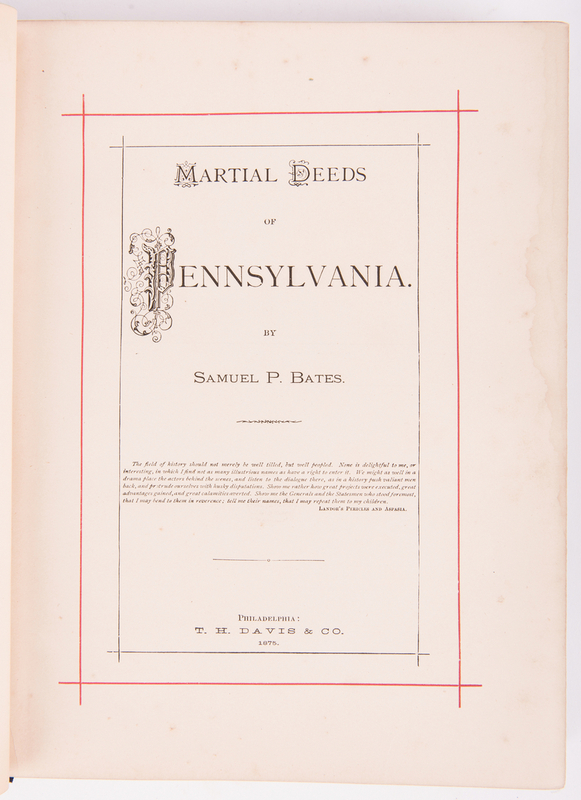 Engravings appear collated.